There’s no arguing that social media is a titan when it comes to modern-age marketing mediums. The top social media sites have stunning growth rates and this is also true for the speed at which the digital age itself has taken over. 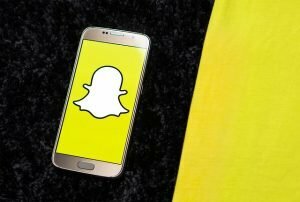 And now we’re seeing another social media giant taking the reigns – Snapchat. The phone app was only launched 7 years ago, and yet currently has 100 million daily active users according to adespresso.com. It’s already edged out Twitter (another giant in the social media department) in terms of number of users, and was one of the most downloaded apps throughout 2015. All of this combines to make Snapchat one of the fastest growing social media creations ever. And now some marketers have begun to adopt it for their own means. Sadly, Snapchat has not been readily adopted by the marketing industry as a whole and is still being under-utilized/ignored by many. This is probably the case due to a few notable drawbacks with using it for marketing purposes. Due to the nature of the app, it’s mainly been adopted by the younger crowd. Of course, this tends to be the case with most forms of social media, but Snapchat is particularly vulnerable. It’s also fairly limited as far as social media platforms go. Marketers will find themselves restricted to short video promotions which can be difficult to manage at times. But the creators of the app and making changes and sending through updates all the time so the playing field will be constantly changing. First and foremost, Snapchat works brilliantly when it comes to influencer marketing. Many public figures use it and have a large following. This is a very effective promotional tool if it can be harnessed by a business. Snapchat, just like many other forms of social media, provides an incredible opportunity to build relationships with consumers. This can be done through showing informal, ‘behind-the-scenes’ clips of the business in action. If you can communicate some emotion and why you’re doing it through this clip, then you’ll be that much closer with your consumers afterwards. You can even use it to tease consumers with upcoming products or events. On top of all of this, Snapchat has a gigantic market segment that simply cannot be ignored. Combine this with the fact that most users are also online shoppers (again, according to adespresso.com), and it’s clear how profitable it can be. Snapchat has proven that it isn’t a passing fad. Businesses can no longer afford to ignore it as a platform for their advertising. Social Connection certainly won’t be.